Yes, the Shroud of Turin is coming out again for a short time. Usually this takes place every 25-50 years but Pope Francis wants to do it now for evangelization! Don’t rush off to Italy this year, wait until next year for the ultimate Italy trip including the shroud of Turin! We have a wonderful 2015 trip planned, replicating what we did a few years ago. Everyone raved about it last time. We start in Milan and see the Duomo and bones of Doctor of the Church St. Ambrose. 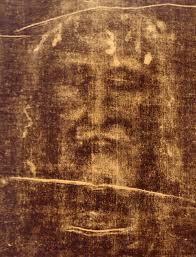 Then for several days to Torino (Turin) to see the Holy Shroud. 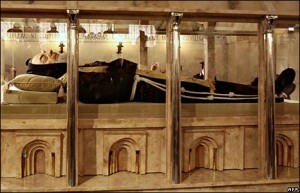 Then two nights in San Giovanni Rotundo to see the incorrupt body of Padre Pio. While there we will see the Face Cloth of Christ at Manoppello, the Holy House of Loreto, the Cave of St. Michael and the Eucharistic Miracle of Lanciano. 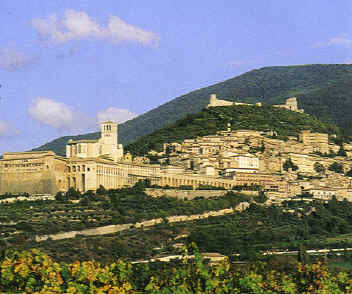 Assisi is next where we will spend two nights in the gorgeous medieval town. Then on to the glory of Rome! 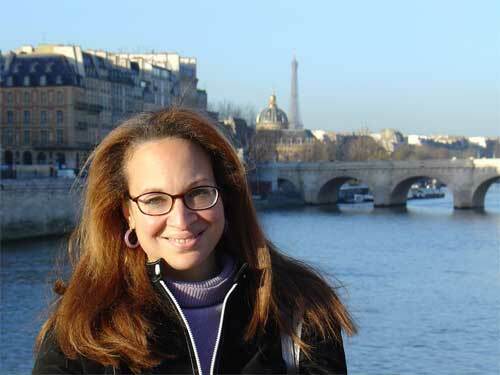 Joining us for the whole trip will Steve’s friend, art historian and Guide Extraordinaire Liz Lev. She is exciting, thoroughly Catholic and the best guide for Rome, Turin and all of Italy. More info soon. This is already filling fast with many registrations!! Contact Corporate Travel for more information and to get on the list. Suzanne (sparran@ctscentral.net) or Elizabeth (emarkey@ctscentral.net) or 800-727-1999, ext. 121 or 150. 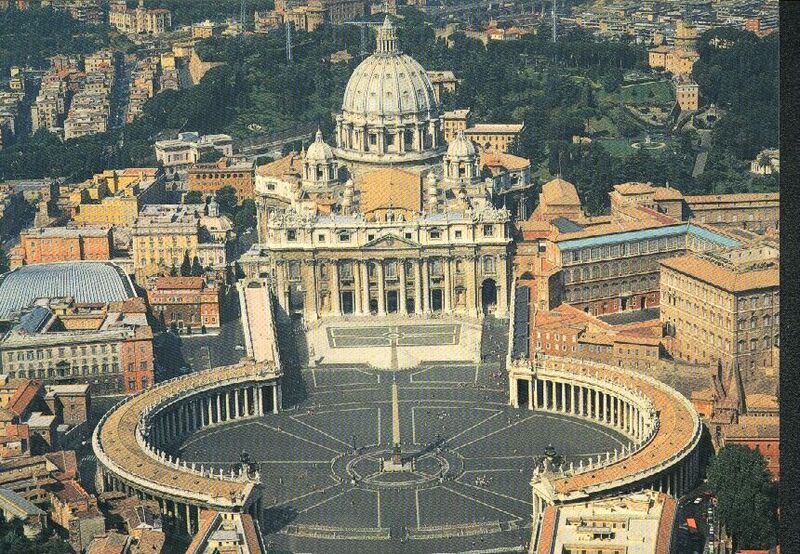 Check out all our other Catholic pilgrimages at www.FootprintsOfGod.com. Steve: I’ve already placed a deposit for my son and me. Any chance of seeing “The Last Supper” while in Milan? Great! Look forward to showing you some of our favorite places in the world. Last time we were there it was closed, but I will do my best to get us in to see it along with the beautiful Gothic Duomo and the bones of Doctor of the Church, St. Ambrose who was instrumental in the conversion of St. Augustine. Send dates and times . I understand this trip is full. Is that correct? STEVE RAY HERE: The trip is full but there are always a few who drop out due to health, family emergencies or other issues. Contact Suzanne at 800-727-1999, ext 121 for updates and to get on the Wait List.